The peer-reviewed and open access journal Slověne = Словѣне is dedicated to various aspects of Slavic philology and related fields. 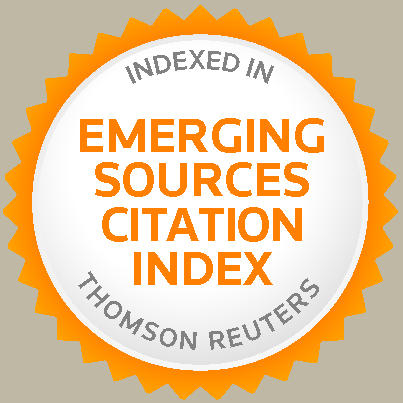 The journal is indexed in Web of Science and Scopus. The editorial board: Iskra Hristova-Shomova, Angel Nikolov (Bulgaria); Milan Mihaljević, Mate Kapović (Croatia); Václav Čermák (Czech Republic); Roland Marti, Björn Wiemer (Germany); András Zoltán (Hungary); Marcello Garzaniti (Italy); Jos Schaeken (Netherlands); Ekaterina I. Kislova, Roman N. Krivko, Sergey L. Nikolaev, Maxim M. Makartsev, Philip R. Minlos, Alexander M. Moldovan, Dmitri G. Polonski, Tatiana V. Rozhdestvenskaya, Alexei D. Shmelev, Anatolij A. Turilov, Boris A. Uspenskij, Rev. Mikhail Zheltov (Russia); Jasmina Grković-Major, Tatjana Subotin-Golubović (Serbia); Robert Romanchuk, Alan H. Timberlake, William R. Veder, Alexander Zholkovsky (USA). Released for printing 2018-12-14. Format 70 x 100 / 16. Volume 33,6 quires. Offset paper 80 g/m2. 300 copies. Printed in “POLIMEDIA,” Ltd. 143001 Odintsovo, Moscow Oblast, Zapadnaya 13. View or download the full issue.